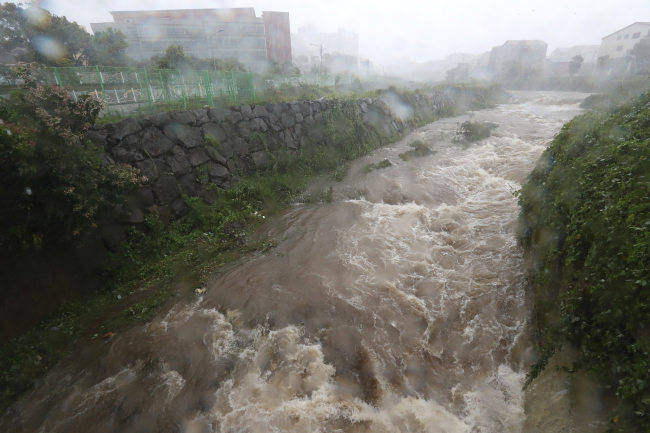 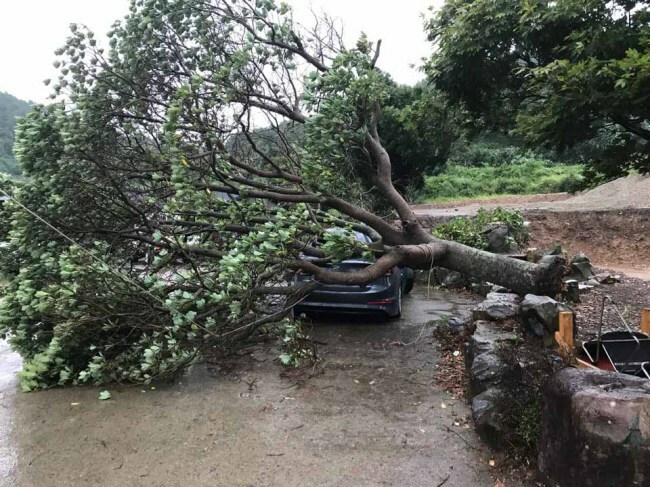 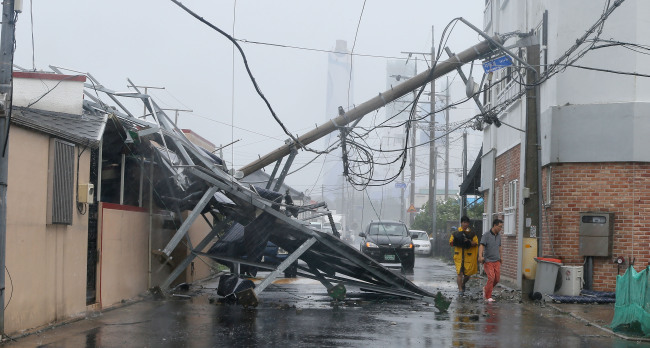 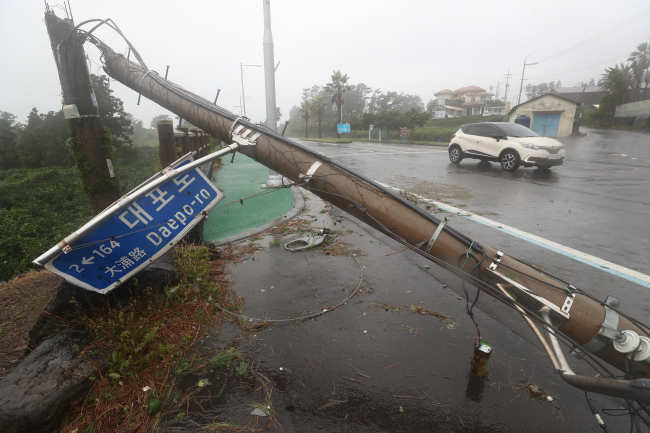 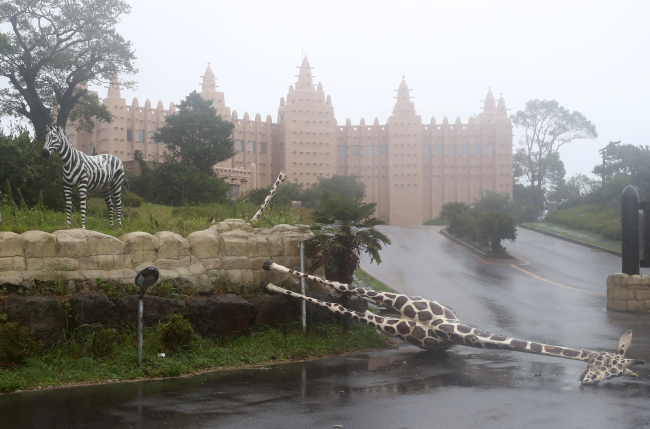 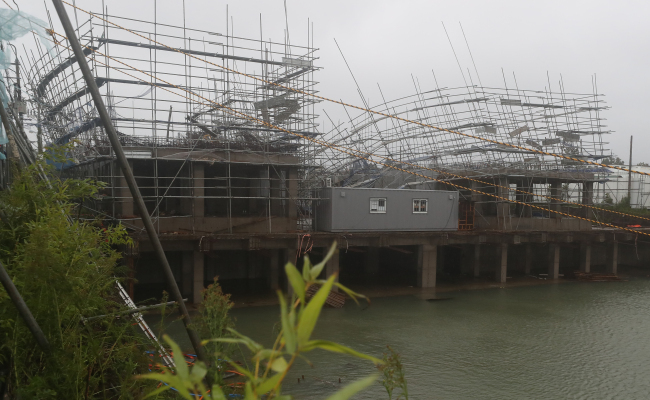 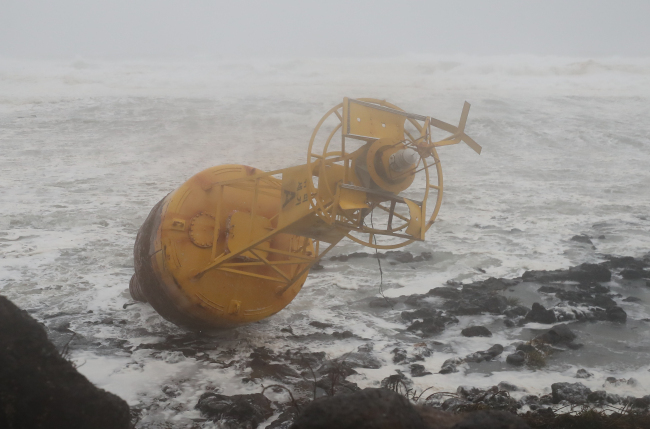 Typhoon Soulik tore along the west coast of Jeju Island on Thursday, leaving a woman in her 20s missing, a man injured, and 6,517 households without power as of 11 a.m. 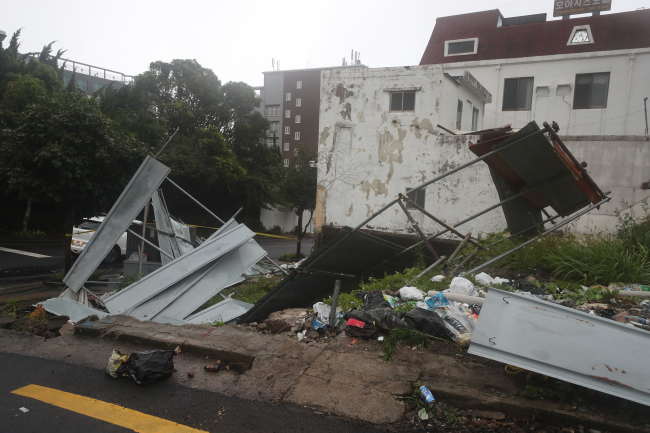 The powerful tropical storm, packing gusts of up to 240 kilometers per hour, is forecast to make landfall on the Korean Peninsula’s mainland just past midnight on Friday. 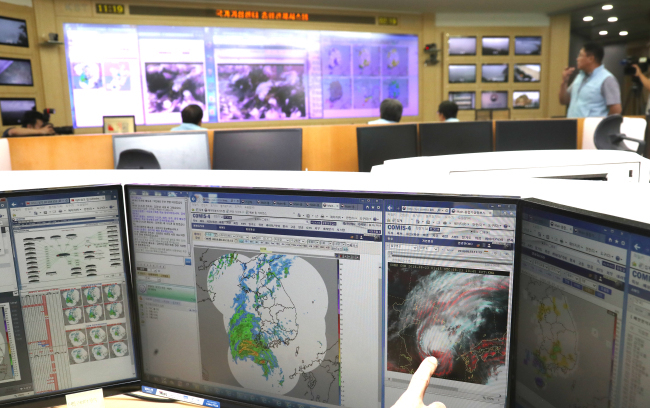 Soulik is expected to pass through Boryeong, South Chungcheong Province, moving westward, and hit the capital city of Seoul around 7 a.m., the weather agency said. 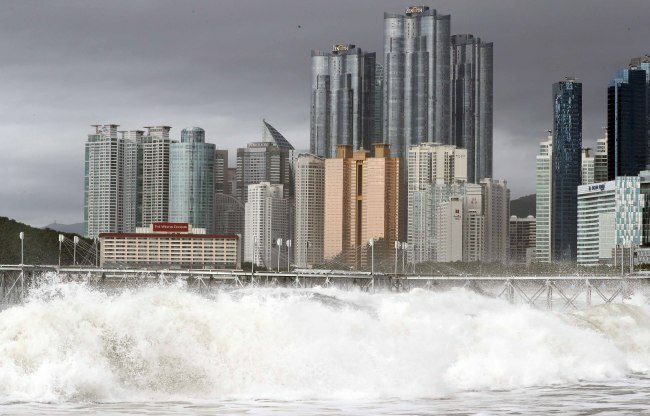 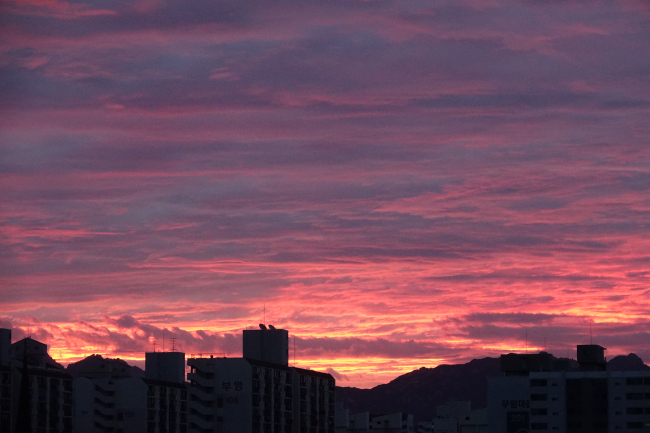 The South Korean government advises citizens to stay inside and tape the windows of high-rise buildings before the typhoon hits so as to minimize the risk of damage due to strong winds. 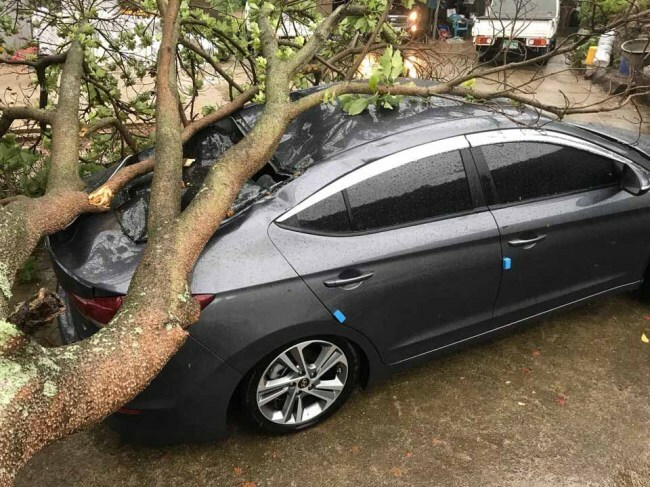 When attaching the tape, it is important to make sure the glass is fixed to the window frame and cannot shake. 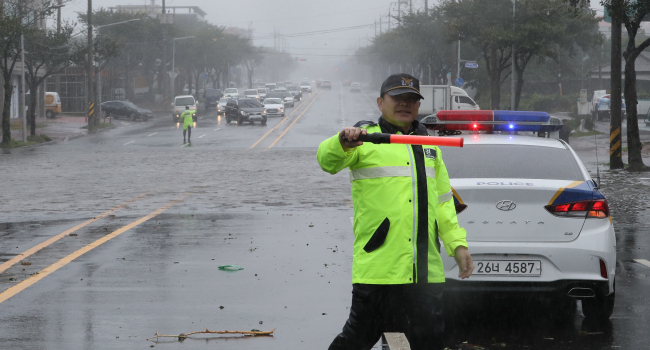 Taping around the edges of the window frame and the glass more than once is more effective than taping an “X” on the window pane and attaching wet newspapers. 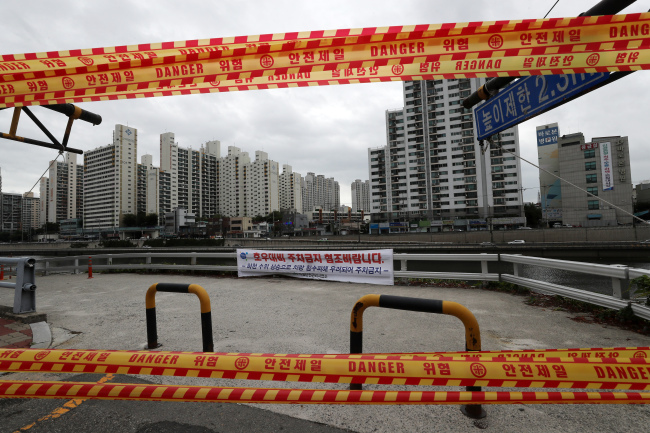 The latter taping method only minimizes injury due to glass particles if the window pane shatters.